Seagulls around Argentina have become too crafty for their own good. Exhibiting behavior straight out of a Hitchcock movie, the gulls have figured out that if they peck at the skin of breaching right whales, they can open wounds on the whales, and then feast every time the cetaceans surface. Apparently this started with a few gulls, but they have spread the word, and now the birds pose a serious threat to the whales’ livelihood, especially the calves. Citing the danger to the whales, the Argentine government is now permitting people to shoot the gulls, and recover their bodies before they are ingested, before the whales migrate to safer seas. Environmentalist are upset with the decision, claiming that is it not the fault of the birds, so much as it is the fault of the open landfills in the area that have attracted them in the first place. Clean up the trash, and the birds will naturally disperse. The issue is also an economic one, as whale watching makes up a significant part of tourism revenue. The proposed action raises a classic and oft-encountered animal rights issue; do we as humans have the right to decide what animals live or die? The quick answer is yes. We have the power, and we do it all the time. But morally, where do we stand? Here we have a situation that humans created. We attracted the birds to the area with fish heads and excessive waste. Now that they are here, they have developed a unique, if not slightly gruesome, way to obtain more food. One species exploiting another happens every day. We let that happen because, hey, that’s Darwinism for you. Why are we so concerned? With the Argentina situation, we have other forces at work. The first is money. No one is paying to see seagulls mucking about. Whales on the other hand, the great leviathans of the deep, will bring in money. We have a financial stake in keeping them, ahem, afloat. Whales are also charismatic megafauna suffering for a situation we created. We care about them because they are cool, majestic, endangered. Pick your reason, but almost everyone wants to side with whales, both because they are “victims,” and because we have been taught to love whales. Should that matter? If we are truly reacting to abnormal behavior, why not take steps to fix it, rather than attack a segment of seagulls that is doing what they are meant to do; evolve. Why not clean up our trash? Why can we justify one animal over another just for being itself? There is no indication that the gulls are diseased or mutant; only innovative. I don’t have an answer, suffice to say that this seems to be the same thinking that led to cane toads and rabbits in Australia, and why we love dogs, hate rats, and eat pigs. If shooting the gulls doesn’t work, perhaps we are only a few months away from a bird-targeted airborne myxomatosis. It seems logical. Well anybody aware about Gulls are typically medium to large birds, usually grey or white, often with black markings on the head or wings. They typically have harsh wailing or squawking calls, stout, longish bills, and webbed feet. Most gulls, particularly Larus species, are ground-nesting carnivores, which will take live food or scavenge opportunistically. 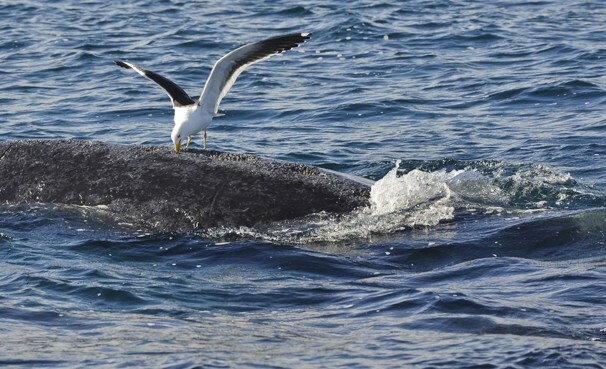 I know that The gulls around the Argentine city of Puerto Madryn discovered about 10 years ago that pecking at the backs of whales as they come up for a breath of air provides them with a regular diet of fresh seafood.